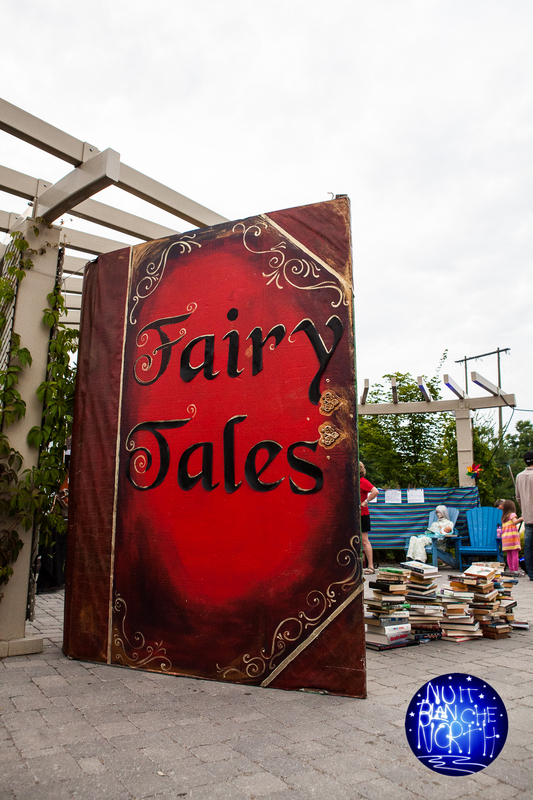 The park will be a hot spot of performance and art exploring themes around the impact of progress, memories and reinvention. 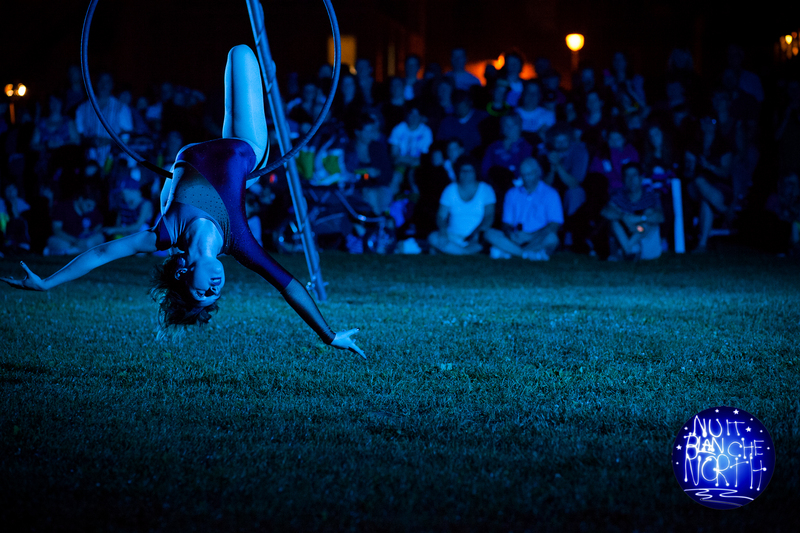 Death defying aerial performance and innovative fire/aerial fusion acts will illuminate the night sky in River Mill Park. 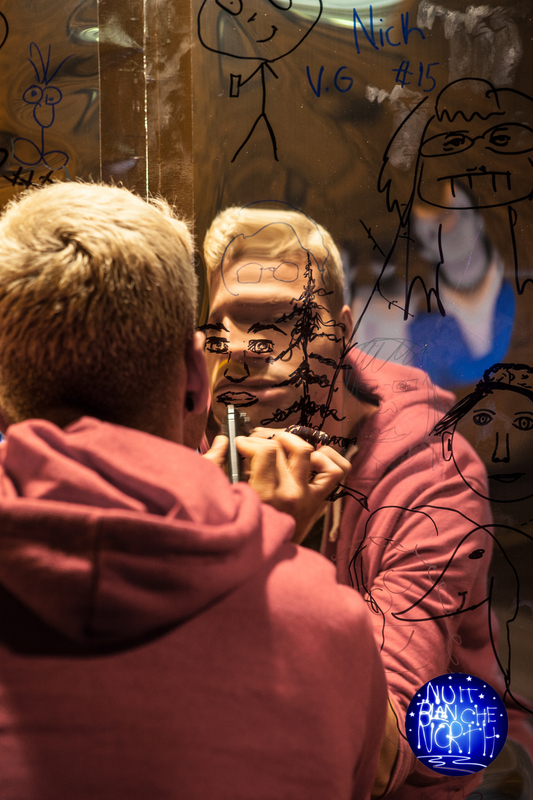 Illuminair artists will captivate you with their unique style, engaging and charismatic cast of characters, one of a kind performance tools and skills…and their passion to surprise and entertain. Performed by: Sylvie Bouchard, Michael Caldwell, Mairéad Filgate, Pulga Muchochoma, Meredith Thompson and Brodie Stevenson. better. Did we make a mark? We felt it… ahhh! Anyone else? Does it matter? What else besides ourselves might need our impact? audience. Alongside the red carpet is a wall of mirrors where you have the opportunity to leave an permanent impression of yourself by tracing your reflection to inspire your impact in the moment, and after the fact. Then follow the sideshow barker’s invitation to enter the hall of mirrors, create a selfie and consider your impact on the world around you. 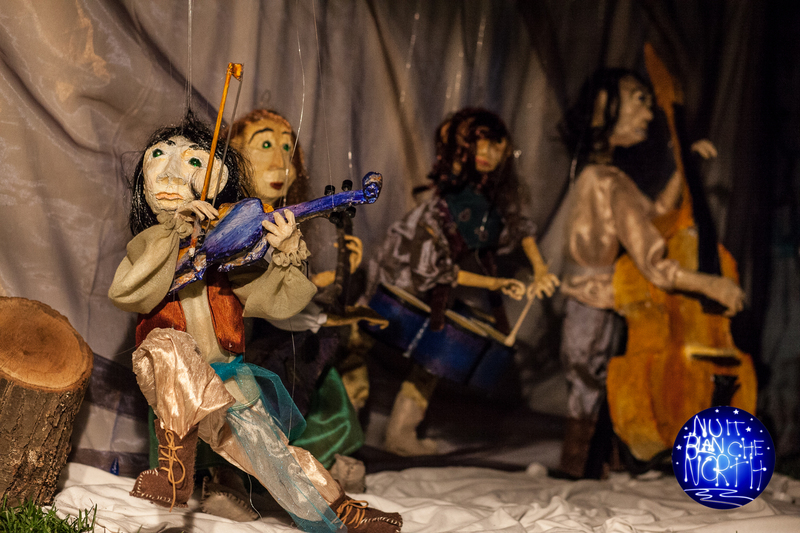 Join a troupe of papier mache marionette street musicians as they evoke a fantastical world exploring light, dark and the impact of people traveling in and out of our lives. Between performances, take your own turn working with the marionettes and learn techniques of creation and performance from the artists themselves. Performances will take place at various times throughout the night. A visual representation and interpretation of the IMPACT of EBooks on our book publishing industry, culture and environment, both positive and negative.